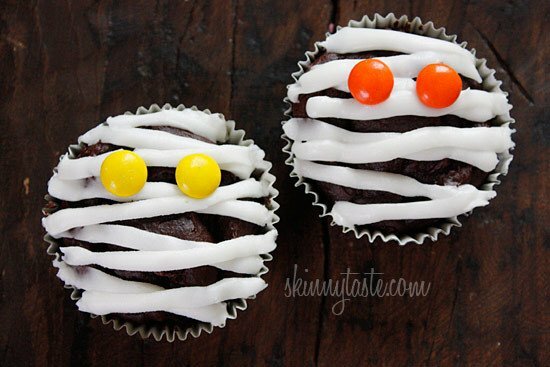 These are healthy Chocolate Mummy cupcakes with vanilla frosting, wouldn’t these be so cute to bring to a Halloween party! A few great scary additions to these low fat Mummy Cupcakes are Spooky Spider Cupcakes, Frozen ‘Boo’-nana Pops, Mummy Cake Balls and Meringue Ghost Cookies or cupcake toppers. Friday I posted a recipe for Super Moist Low Fat Chocolate Cupcakes, and I promised you the recipe for the vanilla icing. For these mummies, this recipe makes enough for about 18 cupcakes, depending how thick you pipe it on but if you just want to drizzle it on like I did on my previous cupcake post (see photo below), 1/2 of the icing should be more than enough for 24 cupcakes. You can bake the cupcakes the night before and decorate these the next day. I would frost them the same day you plan on serving them for best results. The frosting will keep in the refrigerator in a piping bag for several days. If you refrigerate it, let it get to room temperature before piping. The cute fondant ghosts pictured above can be found on Ambrosia Baking. Start with my basic Super Moist Low Fat Chocolate Cupcakes recipe, without the chocolate frosting. When cooked and cooled you can decorate with the frosting. 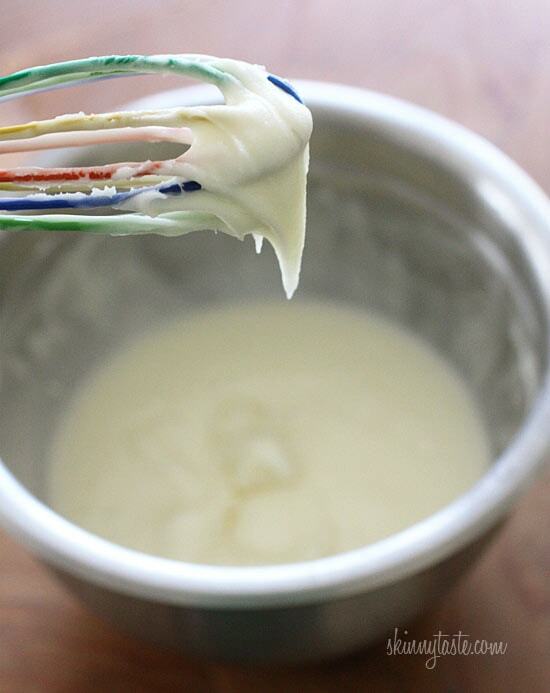 For the frosting: combine confectioners’ sugar, melted light butter, vanilla and enough water to achieve frosting consistency, starting with 1 tbsp and adding more if needed. While frosting is still wet, press 2 m&m’s (letter side down) of the same color on each cupcake to create the eyes. *Note: Some “light” butters have yellow coloring added which will effect the color of the icing, Land O Lakes Light is a good option. Also, dark vanilla will effect the color, use clear to keep it white. Is it possible to create the cupcakes but using a sugar substitute instead such as Splenda? Gina, can you give us the SP value for these cupcakes or include the saturated fat count so we can calculate ourselves? 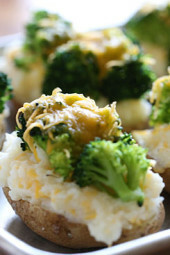 I want to make these ASAP, they look so delicious! I was making whoopie pies and only had an icing recipe that used raw eggs so I tried this one. I think that it would be great to top cupcakes or cookies as it is a bit more like a glaze, but in case anyone was wondering if they could use it for anything else I thought that I would review. It tastes amazing though. I tried to add more sugar to compensate since it seemed watery and ended up with 1/4 cup more sugar. Decided that was enough extra calories so I stopped. Hi, Gina! I made these cupcakes yesterday and sadly, I had to toss them out! I followed the recipe to a "T". The icing was runny and the cupcakes stuck to the liners. It was a mushy mess. I could only get the top of the cupcake out. I'm not sure what I did wrong. But, I do LOVE your enchilada recipe and also your carnitas. They are a weekly staple in our house. Thanks. 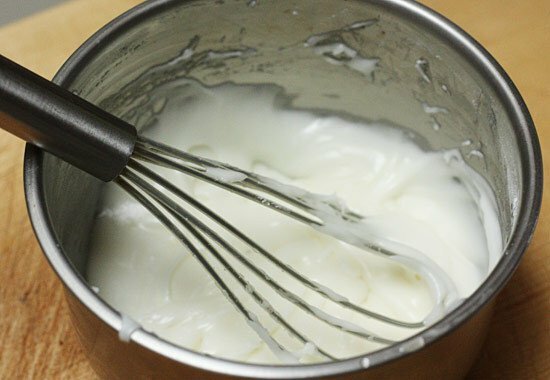 Tip to keep your icing white when you prefer to use regular vanilla extract (not clear)…keep on hand a small bottle of Wilton brand "Icing Color White-White." It does a pretty good job of acting like white food coloring for icing and lasts a long time. Can you use regular white frosting? How did you make the ghost ones? Oh my goodness… I've tried to make these three times now. I'm going to borrow my mother-in-law's mixer, hopefully that works. 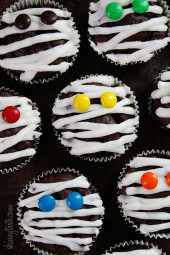 We are so going make these for Halloween this year! I have TERRIBLE LUCK with frosting usually so I hope this frosting is not runny. I also loved the ghost ones in the picture! Did you use fondant for them? WOW! So cute cupcakes. The kids would have loved these cupcakes if I had made these last Halloween. It was unfortunate that I had not seen this early. So cute and NOT full of artificial colors. Nice to see something truly good for you for a change! Made these for a party last week and they were delicious! Sadly, I had a LOT of trouble with the icing. The 2 TBS water turned it into a glaze and it ran right off. I thickened it with more sugar, and more sugar, and MORE sugar, but it never got quite thick enough. I ended up refrigerating the icing and decorating the cupcakes a few minutes before the party. Even then, they looked more like ghosts than mummies! I followed the recipe exactly (land o lakes light butter, etc) so not sure where it went wrong. Every other recipe of yours has turned out awesome, so this is just an exception. Thanks for what you do! I am going to remake this to see of I made a mistake in measurements. I just remade this, followed my instructions exactly as I wrote them and the glaze was perfect and thick. Not sure why yours wasn't. Gina, seriously, that batter was so yummy!!! My two year old and I were fighting over beaters, spatulas, spoons and yes, the bowl itself. And it was fun because if I had added eggs, I would never let him do that. I wanted to fold in some whipped cream and eat the batter as a mousse! And I think those who said they tasted the pumpkin must have used the pumpkin pie filling too. Anyway, KUDOS! Maybe I should put less water in the directions, you can always add more sugar to adjust it. How many points is it if you stick your head in the mixing bowl and lick it clean?? Great recipe! This is a very creative use of the frosting and M&M's. Thanks for sharing your recipe. made these over the wknd, the cupcakes are so good! like others, i must have used too much water in my 'nilla frosting as it did not keep on the cc's. or maybe i need to put the cakes in the fridge? 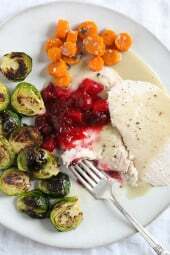 either way, this recipe is great and i really enjoy your blog. thank you! Jen, I just did some butter research and Land O Lakes Light is also a good choice, it's not bright yellow like some other brands. I used white vanilla, and Trader Joes light butter. I noticed some Imitation butter companies like I can't believe it's not butter add yellow food coloring to their butter. Not sure why but this may have also effected the color, the intensity of the color seems to vary by brand. What brand of butter do you use in the frosting? I tried to make these, but the icing turned into a glaze & ran right off the cupcake 🙁 I only used 2 tbsp water…but maybe too much? Also, my icing was a bit more yellow than yours. I wonder where I went wrong. They are still super delicious though! Be sure to use CLEAR VANILLA EXTRACT, I used regular vanilla and the icing was more yellow. I also dont know what Light butter is, So I used what I had on hand. Both these and the chocolate drizzled cupcakes look yummy! I have a question about the vanilla frosting if you just drizzle it on like you did with the chocolate glaze. What would be the nutritional info then? 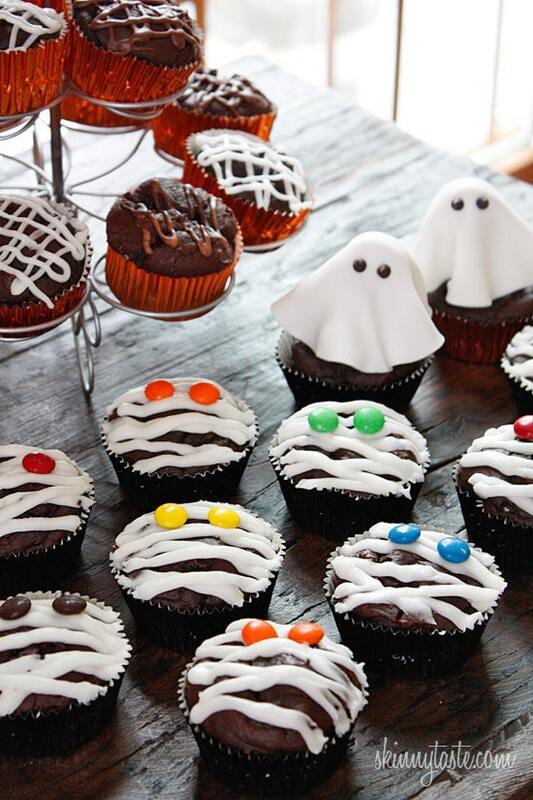 The ghost and m&m decoration makes the cupcakes tooo cute. I used both icings on each cupcake. My son LOVED your cupcakes and he's the pickiest eater on the planet. I told him they were low fat and he shrugged. LOL. I'm making them for his school's Masquerade Ball on Friday with Halloween CC liners. I am off to the store right now Gina to get and make these today. Huge thank you's to you for this adorable idea. I have a question. Did you use the mini or full size m&m's for eyes? I can't eat chocolate so if I buy both then I have to toss one. These were delicious!! I'm a chocoaddict. Yours turned out way cuter than mine though lol. My icing turned out more off-white and not as thick. Will have to reduce the amount of water and vanilla next time. Wow! This is so adorable and creative – I love these. 🙂 Check us out some time @ BloomEveryday.wordpress.com – we'd love to share some recipes of ours with you too. So I felt like making these mummy cakes with out the pumpkin, so I used one vanilla chobani Greek yogurt, 1/2 cake mix (chocolate), water and 1 egg white and they came out amazing! I love how you spark everyone's creativity. These are so cute. So cute! I'd like to make these for my grandkids! these mummies are amazing! just wondering…your pictures of your recipes and directions are so clear and jump off the page real. what sort of camera do you use? Mom- it should have been cake mix. But now you spiked my interest! I may have to try it as brownies next! Aww, those are so cute and simple! 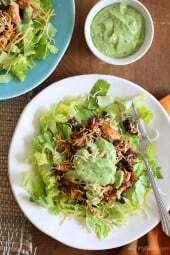 I needed a recipe for next week and this might be it! Wow, these are ridiculously cute! I love the little colorful eyes. I used the Duncan Hines Dark chocolate Fudge Brownie mix. Is that the correct one? Or is there a dark Choc fugde CAKE mix. Cupcakes turned out tasty, just a little too dense. Love your recipes !! Oooohh!!! I can't wait to make these! How adorable, and low fat?! Can't go wrong! Thanks for sharing! The batter is really thick, you could add a little more water if you wish. I found no issues with sticking using foil wrappers, I suggest using those. Otherwise, spray the liners. I found the ghosts on Ambrosia Baking: Here is the link, I will also add the link above. Made these yesterday and everyone loves them. However, the batter was really tough to handle – it stuck on the sides of the cupcake lines badly. Should I add a bit more water next time? Also, the cupcakes sort of shriveled up after they cooled down….could it be the humidity in my house? These mummy cupcakes and the ghost cupcakes in the picture are too cute! These look amazing! Themed baking is my favorite and I am always looking for lighter frosting recipes! adorable! Gina ur the best! I love the ghost! Is this from another recipe or is it upcoming? I would love to make that, too! I found the recipe using pumpkin to be far moister, but if you try these let me know what you think. My brother has a Halloween party coming up – these are PERFECT! Thank you so much for posting! What I love about your ideas is how simple they are, and yet I would have never thought of them! Love these!!!!! Totally going to try them! How did you make those cute little ghosts????? Do you think instead of pumpkin, I can use sour cream or Greek yogurt? I love the mummy idea! Cute! Great idea! 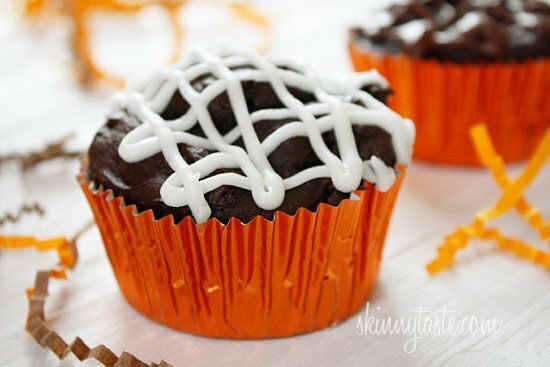 Another easy Halloween topping idea is to spiral the frosting/gel to look like spiderwebs (using a toothpick)! I want to throw a Halloween party now just to make those cute little meringue ghosts!